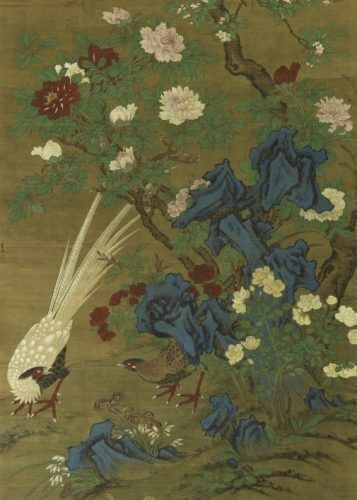 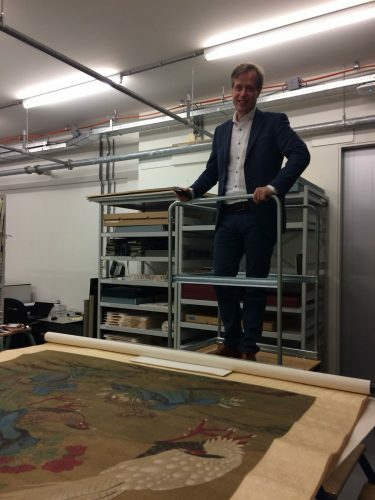 The jubilee acquisition of the VVAK, Silver Pheasants under Spring Blossoms, a unique and impressive Chinese painting on silk by Ye Shuangshi from the late fifteenth-early sixteenth century, has arrived in the Rijksmuseum. 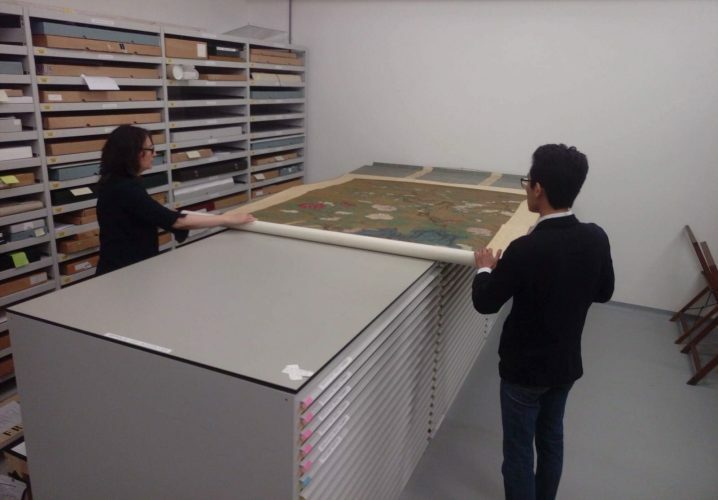 In the images below curators Ching-Ling Wang and Menno Fitski are busy unpacking the painting. 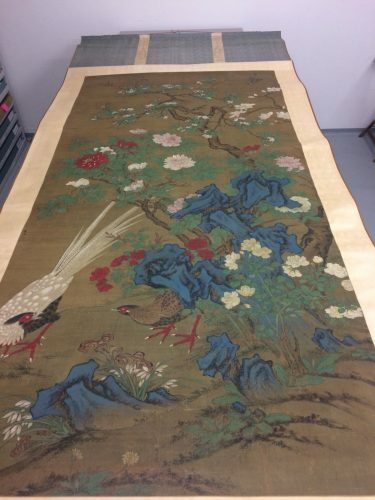 The painting will soon be on view in the Asian Pavilion!